Home > Archive by Category "Elder Law"
Since people are dying later in life, there are more aged people than there ever has been. Sometimes, there’s not enough staff to keep up with them all. Not having enough staff is illegal and leads to less accountability for abuse and potential abusers. The situation isn’t hopeless, but it’s worth learning about nursing home laws and regulations. Where does your loved one’s facility land? Learn about nursing home laws and types of elder abuse below. 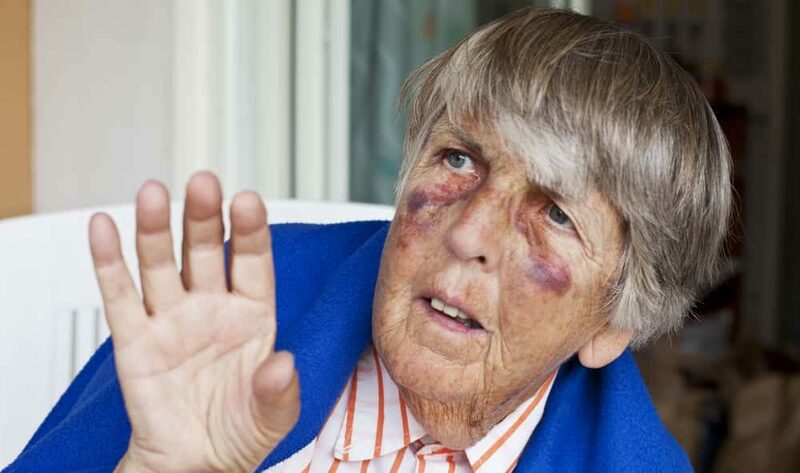 As with domestic abuse and child abuse, there are different types of elder abuse. All of them are horrific and none should be held as more harmful than the other. That said, none of the types following are in any type of order. Yes, there are predators that prey on the elderly and take advantage of those who can’t consent. Someone who isn’t with-it can’t consent to sexual acts. Nor can someone who’s unable to fight back or express discomfort with the situation. Some sexual elder abuse doesn’t involve touching at all. This could be something like the caretaker exposing themselves or engaging in inappropriate activities in the room. If you have any suspicions, find an attorney immediately. The elderly are a vulnerable population, partly because they don’t have anyone to stand up for them. If they’re in a home and they depend on others for care, what can they do if they’re mistreated? Not much, and there are bad people that take advantage of that. Some examples of emotional elder abuse include humiliation and ridicule. Others include intimidation, threats, and habitual (behavioral) neglect. If you loved one won’t come right out and tell you they’re being mistreated, which caretaker do they seem upset around? Do they say they don’t like someone but won’t give a reason? That’s where you want to explore further. Contrary to some belief, neglect is a type of abuse, not a different category. For the elderly, neglect means a failure to fulfill necessary and agreed upon obligations. Or, obligations that are considered common sense. For example, if an elderly person falls, it’s the caretaker’s job to get them up. “Helping patient up” may not be written perse in their contract, but you would expect them to help them off the floor. A lot of elder neglect comes from things that are biological in nature. Failure to administer medication regularly, to change sanitary supplies, or to clean up messes. If you visit your loved one and notice that their supplies aren’t clean, they seem woozy and out of it, or they’re not their usual selves and seem off their medication, take warning. The easiest type of elder abuse to notice is physical abuse. Does your loved one always have scratches, cuts, or bruises? Depending on their ability level, there’s a good chance they fell. But, do you see these injuries becoming a pattern? Are the bruises in a place that wouldn’t make sense with a fall injury? Does your loved one refuse to tell you how they got injured or tell you the same story over and over? Unfortunately, those who abuse the elderly are sneaky. There won’t always be visible evidence of physical abuse. The category also includes things like under or over administering medication, restraining or isolating them. These are things that are harder to catch. How are you supposed to know if your loved one is getting the right dose of medication? They likely don’t know and trust their caretaker. All of these abuse types are a big reason why having enough staff is important, and thankfully, that’s the law. In a nursing home, there are regulations for how many caretakers there are vs. patients. Think of it like a teacher-student ratio, if you will. If there isn’t enough staff, then there will be fewer people to catch abusive behavior. Even if someone does catch abusive behavior and they’re understaffed, they’re less likely to report it. They don’t want to lose more staff than they already have. You’ll need to check your local and state laws to get the exact staffing number and regulations for specific nursing homes. Another way to tell if they’re low on staff is to listen to the nurses. Are they always talking about how they’re understaffed and they have to take on more than they should? Over-tired caretakers, even those who have the best intentions, can accidentally neglect patients. Without getting too technical in the legal jargon, let’s talk about some actual nursing home regulations. There are more, but those are some good examples. You should always be able to find a copy of local regulations online or request one at the facility itself. When was the last time they got inspected? Did they pass? What were their problem areas and how are they addressing them? These are people’s lives we’re talking about, not just boxes on a list to check off. If you suspect your loved one is being abused or there are gaps in their care, talk to them about it. Someone is much more likely to open up about something if you bring it up. They may feel like abuse is their fault, whether the perpetrator put that in their head or not. Stay judgment-free and causal when you approach the subject. If that doesn’t work, talk to the care coordinator about your concerns about nursing home laws and regulations. Ask them what steps they’ll take to investigate and have them follow up. If you don’t see any action, you can take your concerns up with the police, an attorney, or the health department. There are many people here to make sure your loved one gets the best care. All you have to do is ask! The decision to place your parents, grandparents, or loved one to a nursing home can be a difficult decision. There are so many questions and concerns that you will have. If you decide that it is a good option for everyone involved, let’s take a look at how to safeguard your loved one from abuse. Have a medical professional outside of the facility evaluate their health. This can be a doctor, nurse practitioner, or an RN. You will need someone who is medically qualified with experience. This will show the before condition of the patient so that everyone is on the same page. This is important because it will help everyone involve see the quality or lack of at the nursing home. Common signs of neglect or bed sores, bruises, and dehydration. If you can prove that the patient did not have either of those conditions before, but they currently do, you may be able to establish signs of neglect. Again, you will want an outside opinion of how things are going. A medical professional should evaluate them to ensure that they are being properly looked after. This care should entail, a physical evaluation looking for signs of dehydrating, bruises, cleanliness, and bed sores. This also may include bloodwork. As soon as any signs appear, it is time to get involved. Ask a medical profession to evaluate what you believe to be neglect or abuse. They will thoroughly evaluate the patient. If they feel that it is possible, they are required by law to report it. You should also report them to the Adult Protective ServiceS, Long-Term Care Ombudsman, the police. You will have to show proof so be prepared. This is the time when your before and during care evaluations will be important. The police department, as well as, the other agencies will make a report. This report will include and interview with you, the patients doctors, the nursing home, and any other important witnesses. There should also be photos of the patient taken for evidence. If you’ve had to make a report, it is time to get legal help. Choose a law firm that specializes in elder law, like Garcia, Artigliere & Medby Elder Abuse Lawyers. There is going to be a lot of things that happen that you will need to prepare for. Your attorney will be able to guide you through this time and help you find resolution. Having a loved one in a nursing home can be a delicate and scary time. Elder abuse is becoming more common so you must be on the lookout for abuse or neglect. The best thing you can do is to be prepared, have regular check ups, and have a plan if you think something is going on. Do not be afraid to report the facility if you believe that there is abuse occuring. Helping our loved ones transition to the next stage of their lives in a nursing home is difficult for every family. Unfortunately, getting them settled in and Medicare up-to-date isn’t the end of the road of moving into a nursing home. 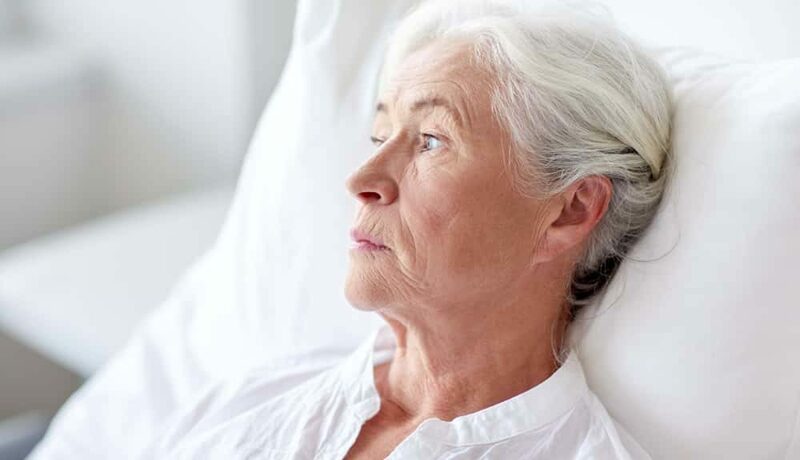 A report published by the Special Investigations Division of the House Government Reform Committee found that one in three nursing homes in the United States were cited for abuse that may be considered medical malpractice over a two year period. Approximately 5,283 facilities received 9,000 individual citations from those who report nursing home abuse and medical malpractice. Crimes ranged from inadequate sanitation to malnutrition and dehydration to preventable accidents. These violations weren’t the result of a bad day: they hurt residents and are illegal. Your duty as a loved one of a person in a care home isn’t simply to visit: it’s also to report nursing home neglect or abuse in nursing homes that could potentially result in a legitimate medical malpractice case. Just like elder abuse, nursing home abuse ranges across a broad range of behaviors and isn’t always detectable right away, particularly when the person being abused is suffering from memory issues related to dementia. The most obvious signs of abuse are physical abuse, which can be committed by staff or other residents. Slapping, pinching, or allowing residents to fall are all types of violence. Psychological abuse is also illegal. It includes shouting, shaming, or humiliating the patient. Neglect makes up the bulk of many of the abuse citations, and it often isn’t malicious but the result of poor policies, training issues, or inadequate staffing. Like physical abuse, neglect takes a physical toll and is demonstrable. Patients may also be sexually abused, which features sexual exploitation or unwanted attention either from a caregiver or another patient. Patients with dementia are particularly susceptible because they’re cognitively compromised. The signs of abuse may manifest physically or in personality. It’s important to pay attention to behavioral changes over time to best determine whether they’re the result of disease or abuse. Still, any suspicion should be reported. Unfortunately, elder abuse rarely begins and ends with a single patient in a facility. This list isn’t exhaustive, and some of the signs can be invisible, so it’s important to check in with your loved one regularly to notice more subtle signs of abuse. If you believe your loved one or someone else in the nursing home is being abused, then you should report it. Even if it’s not your family member or friend, it soon could be. You have several reporting options. Start by contacting the U.S. Administration on Aging’s Eldercare Locator at 800-677-1116. They’ll provide you more information on elder abuse laws in your state and explain the proper channels. Another avenue to report nursing home abuse is via your family member’s primary care physician. In most cases, primary care physicians are required to report suspected abuse in nursing homes – failure to report may be medical malpractice. If you suspect the damage is threatening the life or immediate wellbeing of your family member, call 911. Concerned about where to go from there? We always recommend contacting a lawyer who frequently works in elder abuse cases like Zanes Law. While some within the industry suggest that nursing home citations are over-reported because of high and changing standards – elder abuse exists. And it’s often a silent epidemic. The best thing you can do for your loved one is to be there even after they transition into their new home and keep a sharp eye out for signs of abuse. You can ensure every older adult receives the dignity they deserve.